Noh, a ritualistic and beautiful masked drama, was developed 600 years ago, and is still performed today. 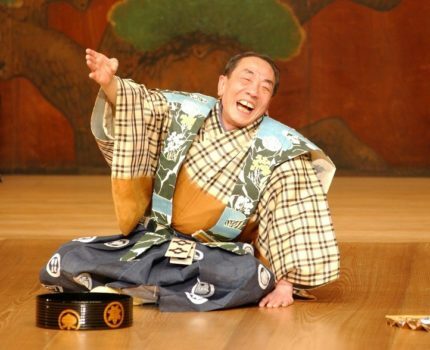 From the beginning, noh plays have been accompanied by a tradition of comic plays called kyōgen. This lecture will overview various forms kyōgen has taken over the centuries and evaluate the revolution it underwent in the seventeenth century, when performers competed for the patronage of the Tokugawa shoguns and the plays were provided with scripts for the first time. Professor Noel Pinnington teaches Japanese Literature at the University of Arizona. He trained as a Hindu priest in his youth before taking up a career in computer science. After several years in Tokyo, he returned to academia, studying at Waseda, and SOAS before gaining his PhD (medieval Japanese thought) at the University of Cambridge in 1993. Professor Pinnington is currently writing a history of Japanese medieval performance. 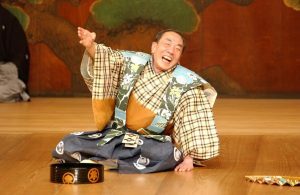 His last monograph was Traces in the Way: Michi and the Writings of Komparu Zenchiku (Cornell East Asia Series, 2006) in which he elucidated the theories of the fifteenth-century Japanese Noh performer.